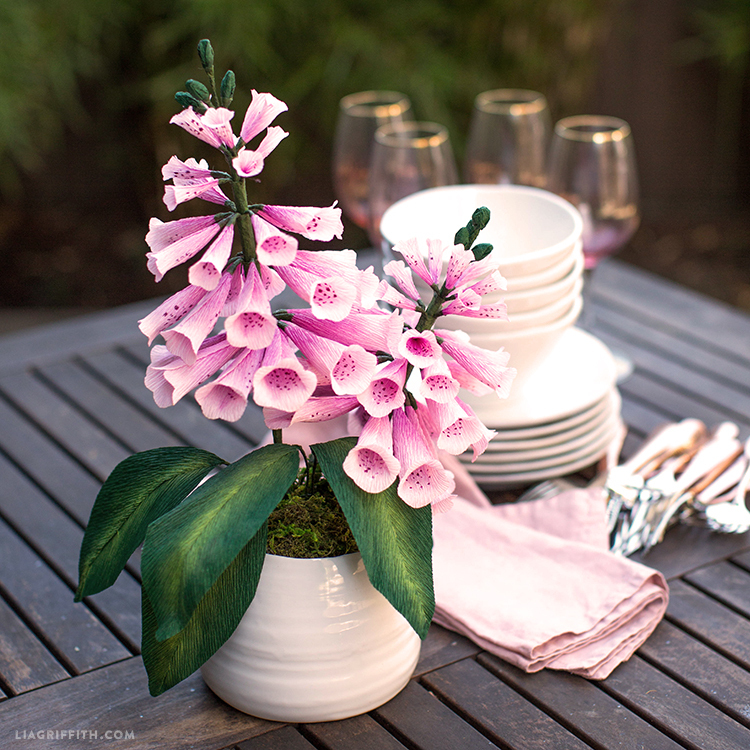 Create These Beautiful Crepe Paper Foxglove Flowers! 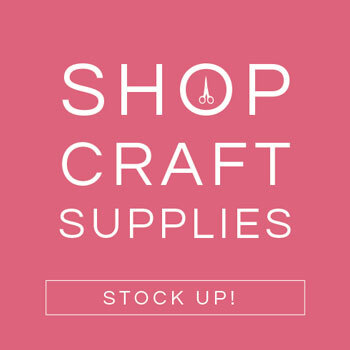 This is for the crafty ones out there. 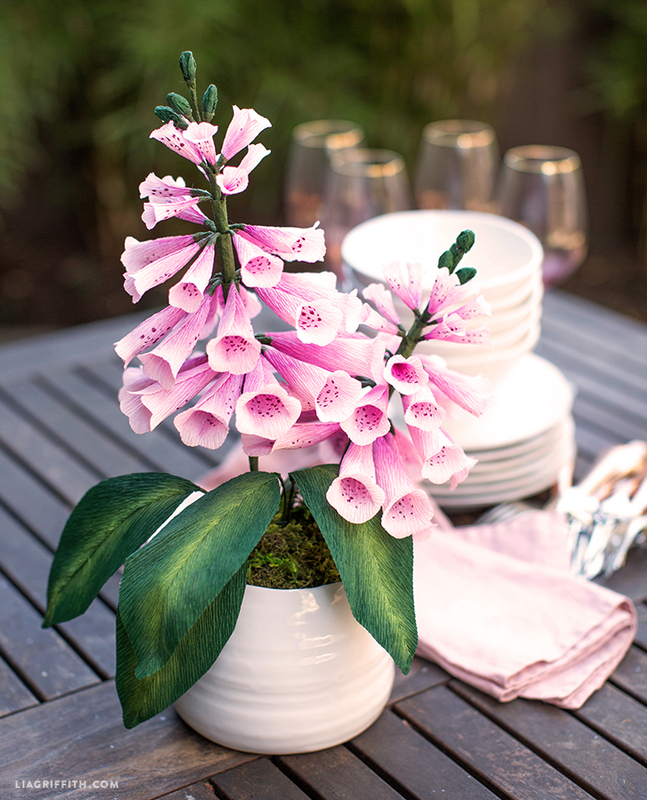 If you’re looking to make your summer pop with color and crepe paper, you’ll fall in love with these incredibly detailed foxglove flowers! 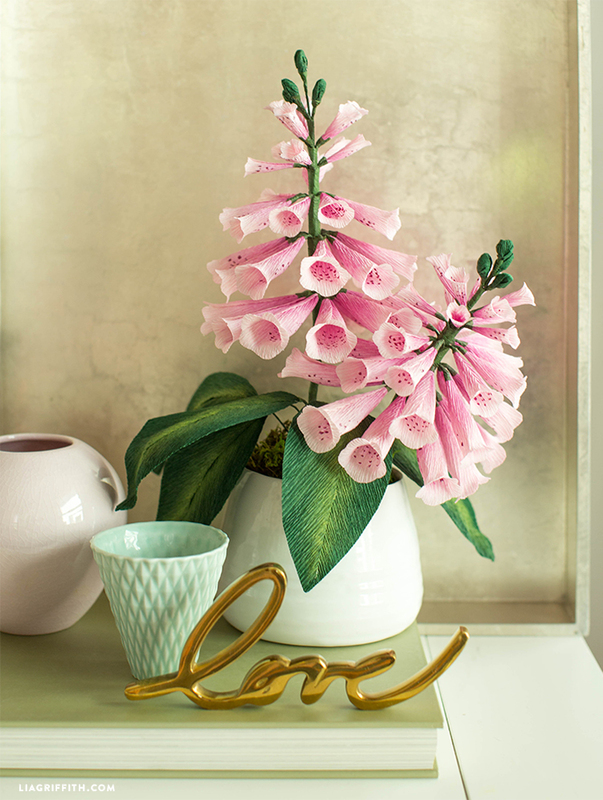 We used a soft pink for our foxglove, but get creative. They’re really simple to make and are unbelievably pretty, whether this is one of your first crafts or you have veteran hands. 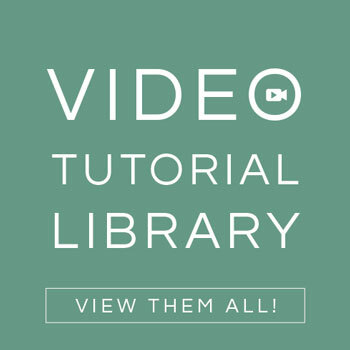 All you have to do is gather the tools and materials, then download our SVG or PDF files. Follow the instructions below or download them too! 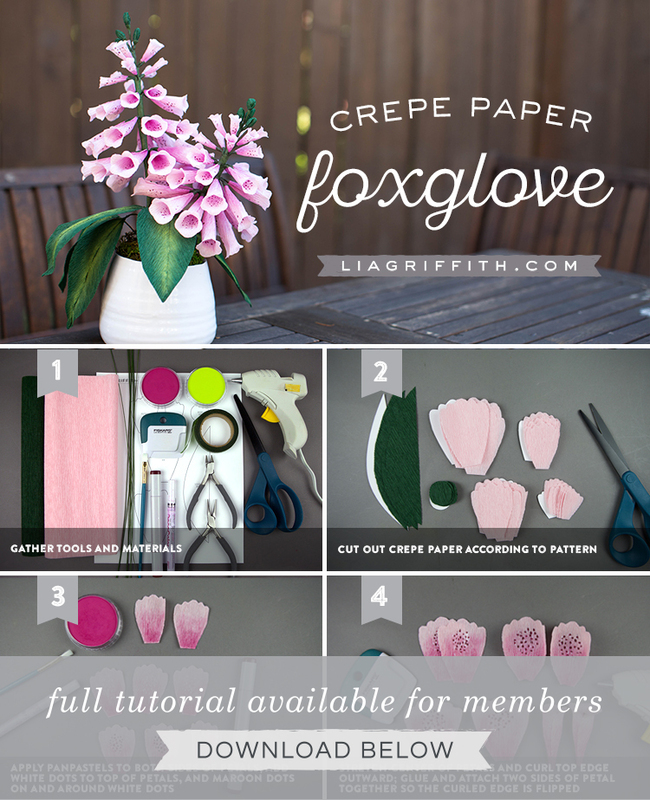 Voilá, you’re on your way to crafting gorgeous crepe paper foxgloves! Cut out crepe paper according to pattern. 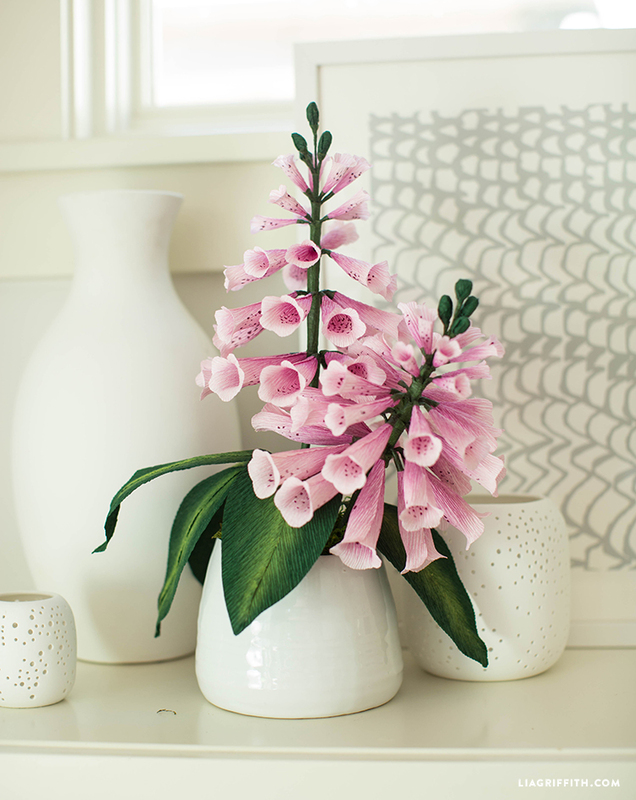 Use a paintbrush to apply PanPastels to both sides of petals. Add white dots to top of petals, and maroon dots on and around white dots. Stretch center of petals and curl top edge outward. Glue and attach two sides of petal together so the curled edge is flipped outwards. These are spectacular ! I believe you’ve outdone yourself ! 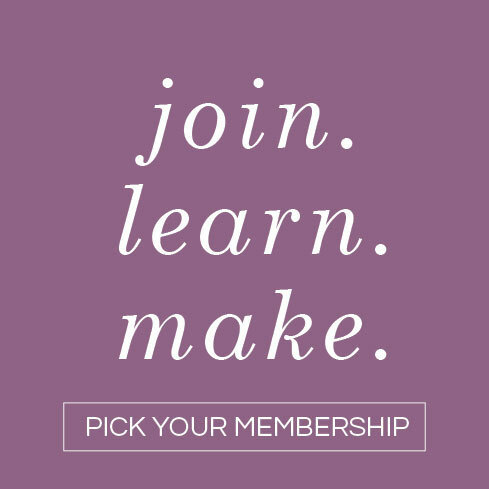 So glad for this membership ,best crafting investment ever . Thank you Angela, that means so much! We’re so glad you’re here with us.